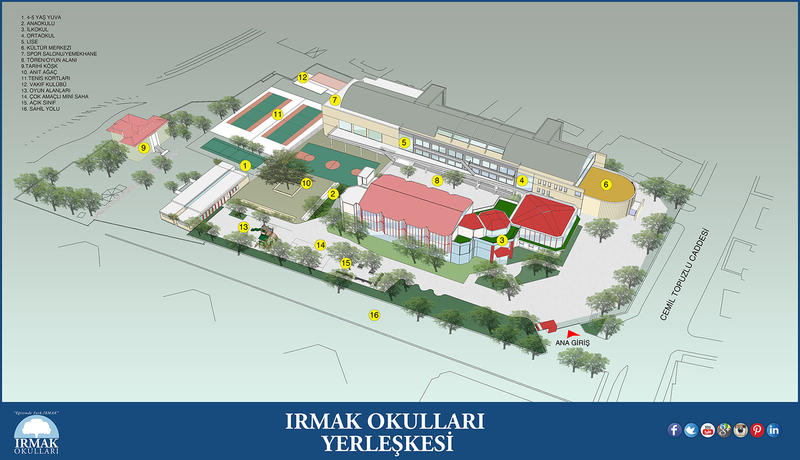 As Irmak Schools, we are well aware of the importance of your personal data protection. With this in mind, we give great importance to processing and protecting personal data according to KVK Law article no 6998 for anyone related to our institution including our staff. Thus, as ‘Authority’ as defined in KVK Law, we are processing your personal data within the boundaries drawn by regulations and circumstances below. Your personal data can be processed by our Institution, as a data authority under the circumstances below according to KVK law. The personal data will be processed in order to execute necessary operations in the school, establish schools’ security, do students registration and other operations according to institution regulations and procedures and plan and execute the policies and processes of our HR within the frame of KVK Law articles no 5 and 6. The personal data will be processed in order to execute necessary operations in the school, establish schools’ security, do students registration and other operations according to institution regulations and procedures and plan and execute the policies and processes of our HR and will be transferred to parents, students and graduates, shareholders, institutional authorities, third parties, business corporates, suppliers, authorized public institutions especially MEB and certain people within the frame of KVK Law articles no 8 and 9. Your personal data can be gathered orally, written or electronically through automatic and unautomated ways via institutional offices, website, social media accounts, mobile apps and other ways although these may vary with respect to your relationship to our institution. Your data can be processed and transferred for the purposes specified in the number 2 and 3 of this text within the conditions and regulations of processing personal data in KVK Law article no 5 and 6. Your data can also be processed when you visit our website to use the facilities and when you join the training, seminar and organizations of our school. 5) Rights of Data Subject According to the KVK Law article no.11. In the case you as the data subjects convey your requests relating to your rights in the ways mentioned below to our institution, we will conclude the requests included in the application free of charge and as soon as possible considering the nature of the request and within 30 days at the latest. However, in case KVK laws necessitate a separate cost, the fee in the tariff may be collected by our institution. • Learn whether or not her/his personal data have been processed. • Request information as to processing if her/his data have been processed. • Learn the purpose of processing of the personal data and whether data are used in accordance with their purpose. • Know the third parties in the country or abroad to whom personal data have been transferred. • Request rectification in case personal data are processed incompletely or inaccurately and request notification of the operations to third parties to whom personal data have been transferred. • Personal data that is processed in accordance with KVK Law or relevant other laws can be deleted or destroyed upon request by the data subject in case the reasons necessitating their processing cease to exist and request notification of the operations to third parties to whom personal data have been transferred. • Object to occurrence of any result that is to her/his detriment by means of analysis of personal data exclusively through automated systems. • Request compensation for the damages in case the person incurs damages due to unlawful processing of personal data. To use your rights mentioned above, you can hand your ID and any other documents that can be used as ID and the signed copy of your request including your explanations about demanding to use your rights stated in KVK Law article no 11. to Cemil Topuzlu Caddesi No: 100 Caddebostan 34728 Kadıköy – İSTANBUL; you can send these documents via notary or any means stated in KVK Law or you can send the form to ogrenciisleri@irmak.k12.tr with secure e-signature. This page was created on 12.4.2019 14:44:17 and has been visited 456 times.